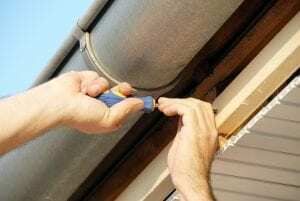 When your gutter system needs a replacement, your best choice for top-of-the-line products and outstanding installation services in the Memphis area of Tennessee is 31-W Insulation. We proudly offer and install seamless gutters from Spectra Metals, a highly respected manufacturer in the industry. These gutters are built to last, since they are made of heavy-duty aluminum alloy coil. And, because they are seamless, not only do they resist leaking and falling apart better than traditional gutters, but they also give the edges of your roof a cleaner, more beautiful appearance. Plus, they come in more than 20 attractive and vibrant colors to further enhance curb appeal. You can also rest easy knowing that your investment in a gutter replacement for your home is protected. That’s because all of our gutters come backed by a 20-year manufacturer’s warranty. To find out more about our gutter replacement services available to residents of Memphis, TN, contact 31-W Insulation today.